In addition to new and classic books on contemporary art, our booth at ARTHK12, the 2012 Hong Kong International Art Fair presented talks and book signings with Hans Ulrich Obrist, Ginevra Elkann, Paul Chan, Zhao Gang and Christoph and Cordelia Noe, in collaboration with Modern Media and Leap Magazine. The talks were moderated by Philip Tinari, Director of UCCA Beijing. Our store highlighted the publication of The Future Will Be... China Edition: Thoughts on What's to Come, curated by Hans Ulrich Obrist and published by UCCA and Pinacoteca Agnelli. 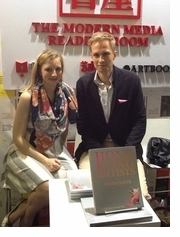 Cordelia and Christophe Noe, editors of Hong Kong Artists: 20 Portraits. 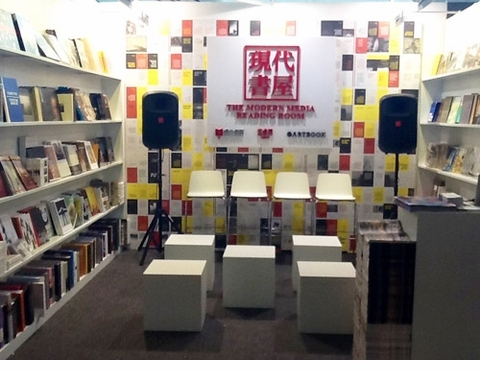 We were pleased to share our booth at ARTHK 2012 with longtime exhibitor Modern Media. 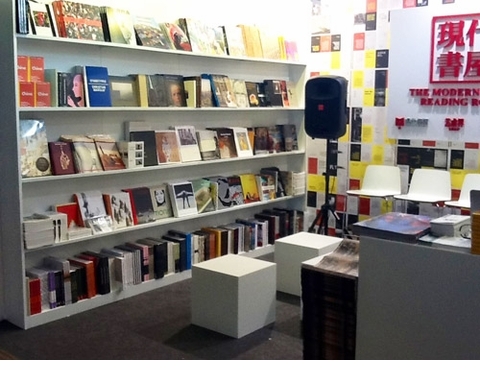 Together, we turned our 15 square meters into a Modern Reading Room, featuring a concise selection of books on contemporary art, Leap Magazine and other Modern Media publications. Our collaborative series of talks and book signings, moderated by Philip Tinari, director of UCCA Beijing, looked at the role that books and magazines, and more recently, digital media, play in contemporary art.